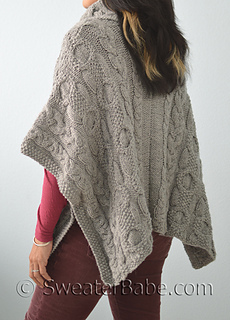 Here’s an irresistible combination of cables knit in a sumptuous alpaca-blend yarn to create a key piece for your winter wardrobe! 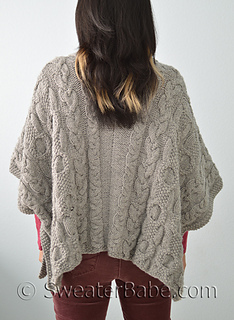 Lots and lots of interesting cable panels run up the front and back sections of this poncho. 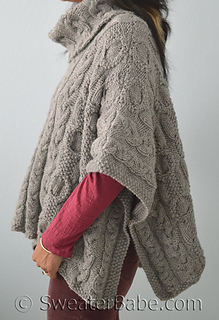 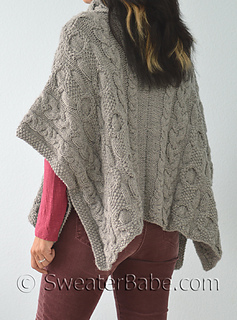 The poncho is made up of 4 pieces – to keep the knitting manageable and create a slight angled effect for the hemline. 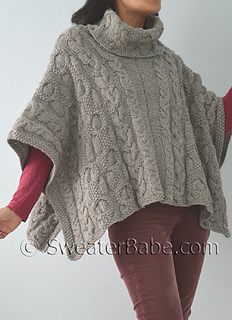 11/1/14 - pattern updated with a bigger cowl neck and side snaps instead of belt.